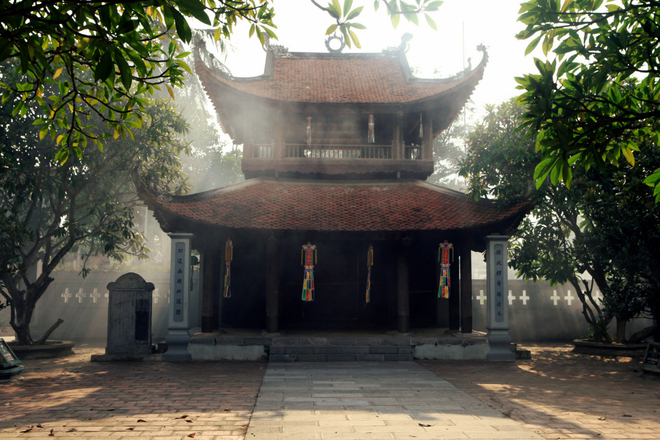 Boi Khe is considered one of the most beautiful temples in Vietnam, located in Tam Hung commune, Thanh Oai District, Hanoi. 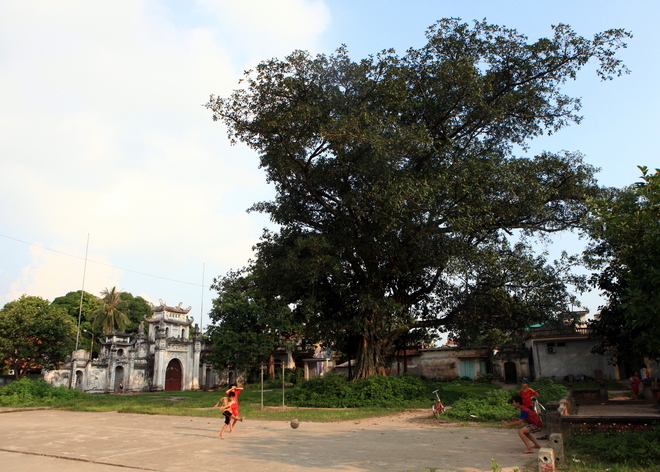 The temple is named Dai Boi Tu (ie, temple with the very large stele), but it is called Boi Khe because it is located in Boi Khe village. 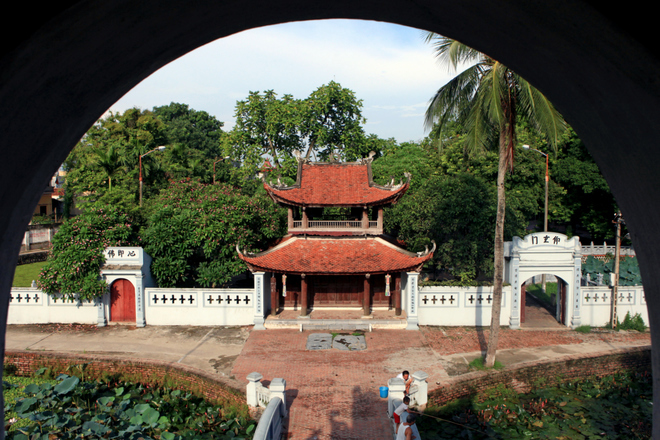 Through a small bridge crossing a canal is the three-door gate of the temple, with a bell-tower on the roof. The triumphal arch of the temple was built by bricks, including five ports as a conventional village gate. 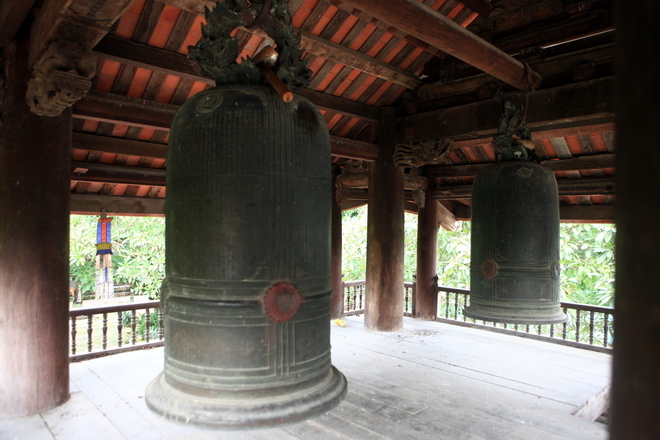 Two big bells, with a diameter of 60 cm, 1 m high are hung on the second floor of the gate. They have been there since 1844. The temple has the Buddha altars on the front area and altars for saints behind. There are many old trees, bonsais and flower trees in the garden. In the photo: the temple’s steeple. 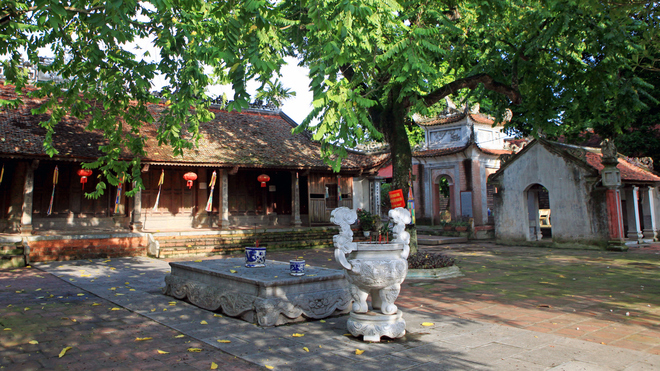 The temple was built in 1338, in the Tran Dynasty. 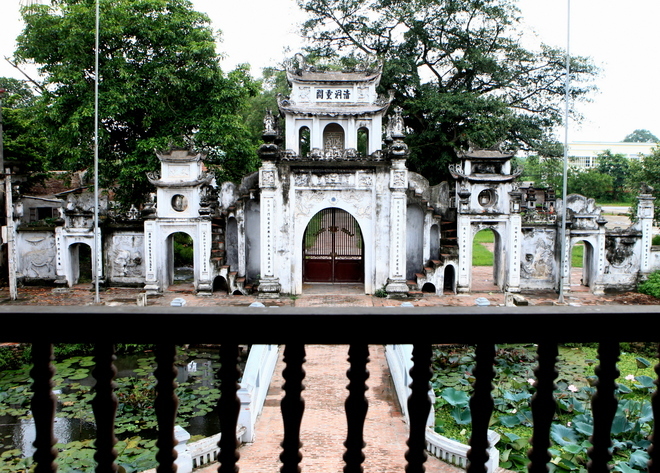 Later, the temple was renovated and expanded eight times under the Early Le, Mac, Le Trung Hung and Nguyen dynasties. 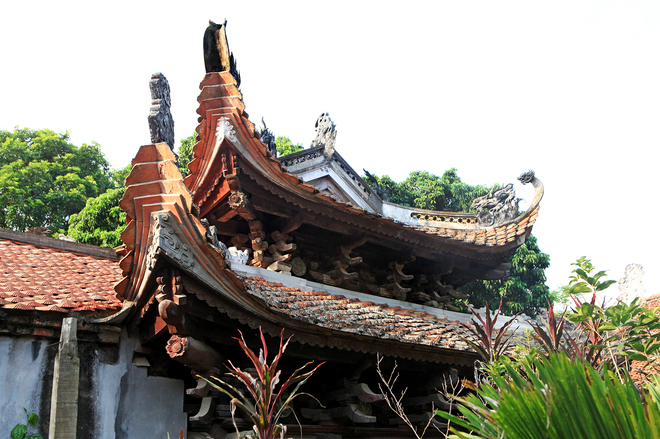 The architecture and artifacts in the temple are the remains of these dynasties. 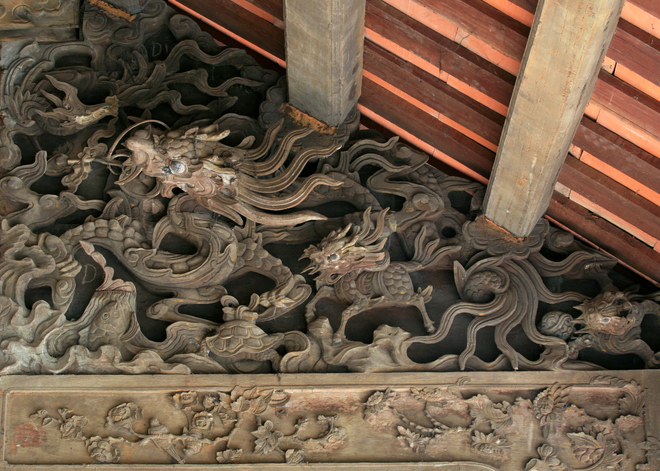 The traces of the Tran Dynasty can be seen in the carved dragons on the porch. 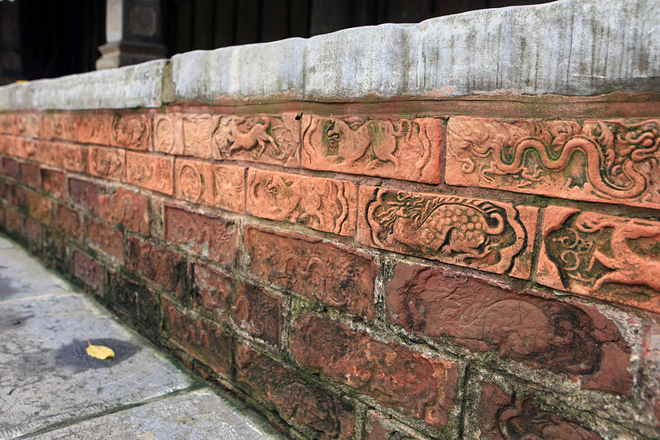 The bricks with sacred objects such as dragon, phoenix, lion, cloud of the Tran Dynasty. 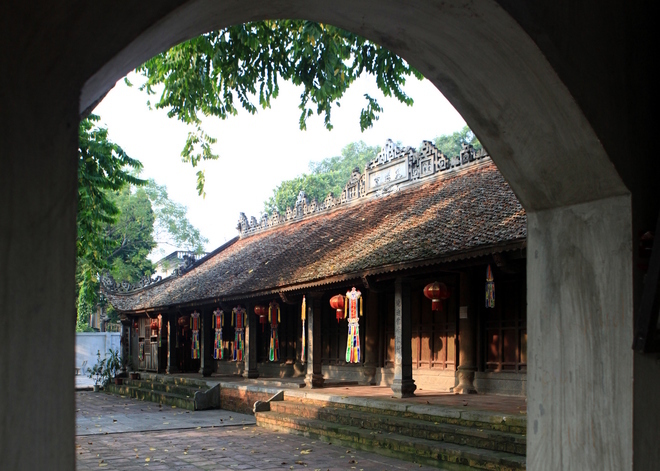 Notably, the green stone columns in the forecourt are carved with many parallel sentences praising the scenery of the temple. 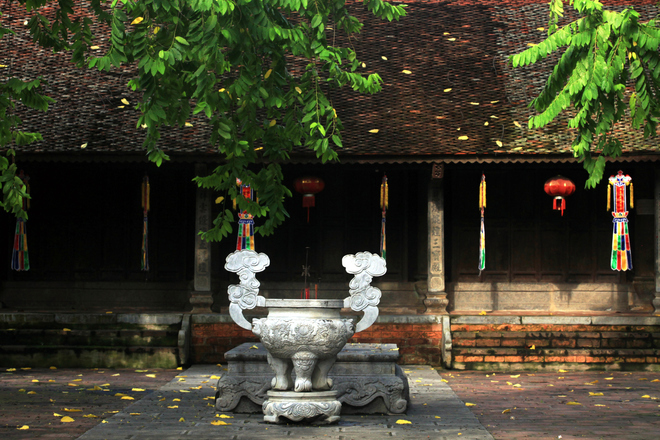 The temple is located at the entrance of Boi Khe village and has beautiful scenery.